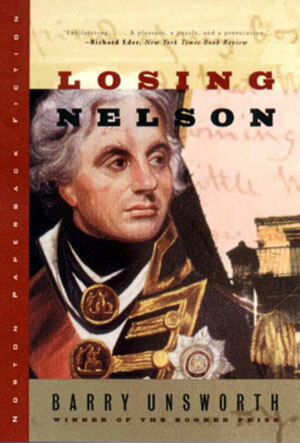 Losing Nelson is a novel of obsession, the story of Charles Cleasby, a man unable to see himself separately from the hero—Lord Horatio Nelson—he mistakenly idolizes. He is, in fact, a Nelson biographer run amok. He is convinced that Nelson, Britain's greatest admiral, who lost his own life defeating Napoleon in the Battle of Trafalgar, is the perfect hero. However, in his research he has come upon an incident of horrifying brutality in Nelson's military career that simply stumps all attempts at glorification. "Books about the sea and those who sail it are much in vogue. This seems to have been set off by the surprising and much deserved popularity of Sebastian Junger's The Perfect Storm, not to mention the Aubrey/Maturin novels of Patrick O'Brian. . . . [Losing Nelson is] the best book of the lot. "—Jonathan Yardley, Washington Post Book World (1999 Critic's Choice). A Publishers Weekly Best Book of 1999; A New York Times Notable Book of 1999. Reading group guide available.